Members of Boston Handmade made their first appearance of the season as a team at the South End Open Market on June 14th. After a rainy start the day was a success, and as usual everyone had a great time together. Boston Handmade will have another group show at SOWA on October 18th. 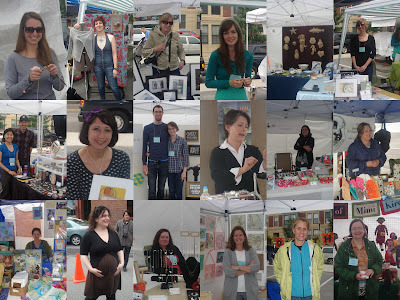 Also look for BH members at our 2nd annual Boston Handmade Somerville Marketplace in Union Square on July 11th.